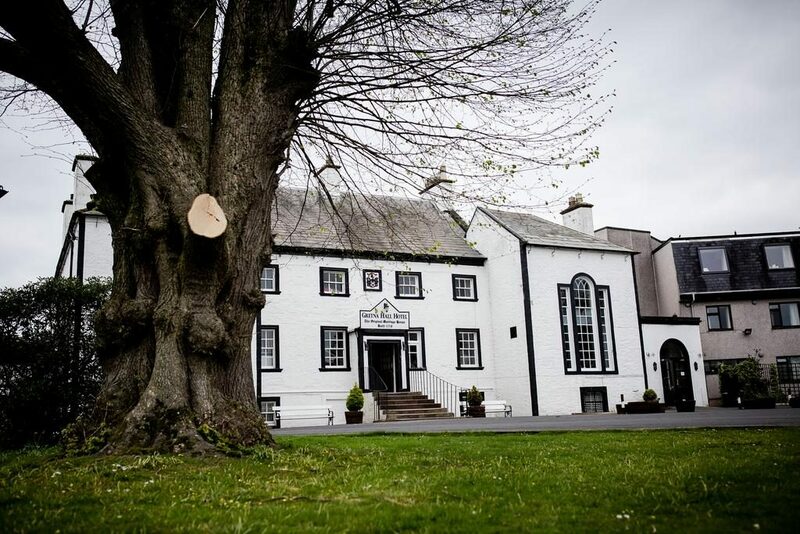 Gretna Hall Hotel Situated on 10 acres of landscaped gardens within the village of Gretna Green, a 2-minute walk from Gretna Green Rail Station, the 18th century Gretna Hall manor offers both traditional and modern en suite rooms and free parking. Full of history, Gretna Hall was built in 1710 and is next to the Blacksmith's Courtyard where many marriages are held. The rooms at Gretna Hall Hotel feature tea/coffee facilities, a TV and free toiletries. The Gretna lounge bar serves hot and cold meals throughout the day, and Anvil restaurant offers an a la carte menu in the evenings. Edinburgh is less than a 1-hour train journey and the hotel has easy access to the M6/M74.